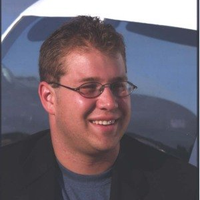 Michael is currently President of Air Operations Inc. and Chief Pilot for Soaring Sky Commercial Drone Solutions. As a graduate of Central Missouri State University with a B.S. of Aviation Management – Professional Pilot, and Miami Dade College's Aviation Management program – CTI, for Air Traffic Control, Michael was moving into a career post-college with the airlines, with a pilot internship right out of school. Then 9/11 happened and changed everything for so many. He then transitioned to the FAA as an Air Traffic Controller for Kansas City Center. A few years later, he relocated to Birmingham Alabama to be with his wife and to work for the Birmingham Airport Authority’s Air Operations Department. While in Alabama he started a youth program, which was dedicated to educating high school students about different careers in Aviation. Then he moved to Florida where he is working for Air Operations Inc., a pilot services, and aviation event management company, that manages drone racing events and the air traffic operations for airshows/expos. Air Operations Inc. works with Organizations such as: MultiGP, Sebring Airport Authority, Sun ‘n Fun Inc. and the Experimental Aircraft Association in Oshkosh, Wi. When Michael is not managing an aviation event, he manages flight operations and assists with training as Chief Pilot for Soaring Sky, teaching and flying fixed-wing aircraft and drones as a commercial 107 pilot. He also still volunteers with teaching today’s youth as a charter representative of the South Florida Learning for Life’s Aviation Explorers as well.